Agricola Varahonda S.A. is a company that was established in March 1992; since its inception it has dedicated its activities to the agricultural products industry through the operations of planting, crop cultivation and the marketing of these respective products. Over the years, Varahonda has been managed under a model for the assessment of tropical fruit crops, these assessments have involved lychees (or litchis), macadamia, soursop, blackberry, Anna apple, figs, mango, mangosteen, atemoya, pineapple, passion fruit and others. Following these evaluations, it has become evident recently that in the areas of soursop, the Tommy and Keith varieties of mango and the Hass and Reed varieties of avocados, there are many business opportunities suited towards international markets. The development of technological agronomic packages for the purpose of adjusting to the agroclimatic and edaphologic conditions of the land where production facilities are located, led to the accumulation of different experiences which enabled the formation of a range of options for tropical crops. 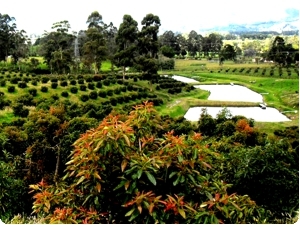 However there still remain planted areas for the cultivation of Mangosteen, Atemoyas and Macadamia. Varahonda has always sought an agro-business model operated under policies that are based on the corporate values instilled by its founders, where respect for its people is of paramount importance and the ongoing pursuit of competitiveness and the quality of its products are the core drivers of the company’s progression. 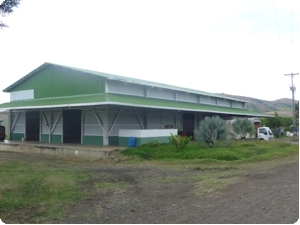 Towards the end of 2010, the owners resolved to turn their avocado business into a focussed business unit with an international profile, with an aim to strengthen their competitiveness and achieve greater penetration of export markets. The company decided to create “Varahonda Oriente S.A.S”, a separate company, independent from the operations of Agricola Varahonda S.A. Since the implementation of this strategy, this business has generated superior metrics with respect to production levels and marketing.